The soft breeze stirs among the rounded hill of the Trexenta district. It caresses the golden mantle of wheat fields and the leaves of centuries old olive trees, it finds its way among the narrow alleys and the low houses of Suelli, lending its breath to the legends and memories of this small Sardinian village. We know that in small towns time seems to proceed at a more leisurely pace, at times it even seems to stop altogether. Present mingles with past, legend interweaves with reality, we lose all clear distinctions between yesterday and today. Maybe this is why at Suelli we breathe a fairy tale atmosphere, the magic of "once upon a time", and people and buildings seem to inhabit a hazy time frame. As if the ancient inhabitants who 4,000 years ago populated with mysteries the many nuraghis and fascinating megalithic monuments which dot the surrounding countryside were still present, rather than relegated to distant prehistory. 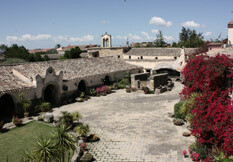 The first construction of Casa Ruda dates back to the early 1600s. 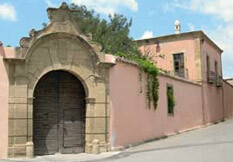 The Manor House, the frescoes, paintings and furniture may be dated at the end of the 1700s. The large main portal was completed around 1800. 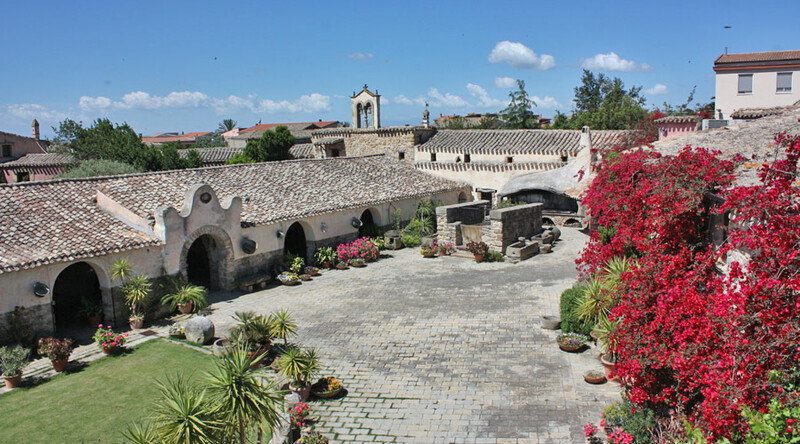 Casa Ruda can host in its spacious hall up to 1,200 guests, distributed among the Aragonese Hall, the Granary Hall and the Hall of Tapestries. In the fine season, the patio of the Middle Court may host up to 250 guests. 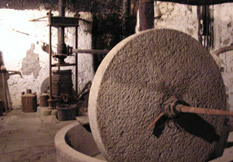 All rooms are provided with heating and air-conditioning. A large parking lot with valet service is available for use by guests. 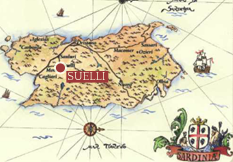 The town of Suelli, 42 km from Cagliari, is easily reached along State Roads 131 and 128, or by rail, with the tourist line of the "Green Train". Today, Suelli appears to the visitor as a small and peaceful hillside village; however, in the past it was for a long time the seat of a important bishopric, as is still today witnessed by the presence of its cathedral and the sanctuary sacred to San Giorgio, Bishop of Suelli who lived in the year 1000. To San Giorgio, in fact, is dedicated the interesting retablo dated in the 1500s, which may be admired inside the church, painted by the artists Pietro and Michele Cavaro. Numerous archaeological findings dating back to the Neolithic Period, as well as the twenty nuraghis found in the territory of Suelli, including the magnificent Piscu Nuraghi, bear witness to the early population and thriving settlements in the region, which was renowned in the Roman Imperial Age for the fertility of its land, earning the definition of "granary of Rome".